The Royal Australian Air Force has completed its first operational flight in Syria, where two F/A-18A Hornets went on a “free hunt” mission in the eastern part of the country controlled by Islamic State (formerly ISIS/ISIL). Australia formally joined the anti-ISIS coalition a year ago. The fighter jets have successfully returned to the airbase, the Australian Air Task Group said in a statement Saturday. The mission was supported by the RAAF’s E-7A Wedgetail Airborne Early Warning and Control aircraft maintaining communication with anti-ISIS coalition’s air operations center and KC-30A multi-role aerial tanker. “No weapons were released during the mission,” Australia’s Defense Department said in a statement. 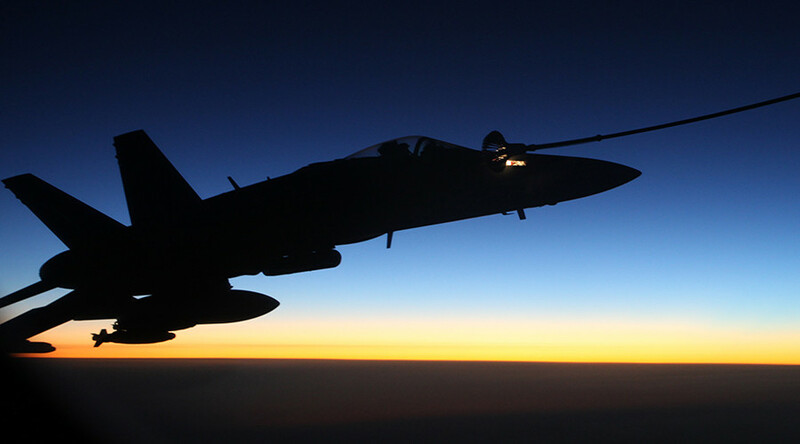 Earlier this week Australia’s National Security Committee agreed to extend the RAAF combat operations beyond Iraq, where RAAF has been operating throughout the last year as part of the US-led anti-ISIS international coalition. The Australian Defense Force’s operation in Iraq and Syria has been dubbed Operation OKRA. “[ISIS] controls a large amount of territory in eastern Syria that serves as a source of recruitment and oil revenues, and as a base from which it continues to launch attacks into Iraq,” News.com.au cited Air Task Group Commander, Commodore Stu Bellingham, as saying. 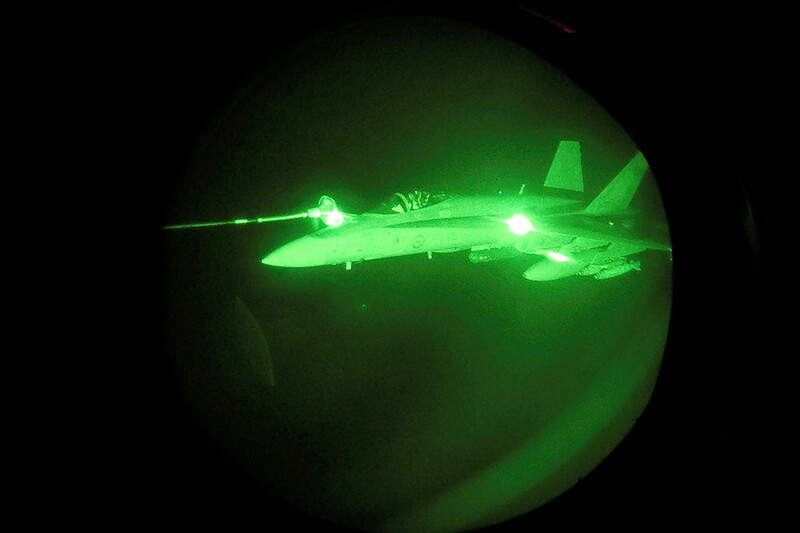 The Australian task force deployed against the Islamic State consists of eight F/A18 Super Hornet jets, one E-7A Wedgetail Airborne Early Warning and Control aircraft, one KC-30A multi-role aerial tanker and transport aircraft, 400 Air Force personnel to support air deployment and 200 military officers, including a Special Forces team to operate as “military advisers” to Kurdish Peshmerga self-defense fighters and other forces fighting the jihadists. The RAAF also has C-17 Globemaster and C130 Hercules transport aircraft deployed at al-Minhad Air Base south of Dubai, in the UAE, which provide the anti-ISIS multinational force with airlift assistance, transporting military equipment, arms and munitions to Iraqi forces. In September 2014, Australian PM Tony Abbott announced that the country’s military was returning to the Middle East five years after the withdrawal of Australian troops from Iraq in July 2009. In the meantime, terror threat fears have been high in Australia. In April five teenagers, aged 18 and 19, were arrested in a series of raids in Melbourne, for allegedly planning "atrocious" ISIS-inspired attacks on police and the public during the country’s Anzac Day celebrations. Australia’s involvement in the Middle East crisis also extends to having citizens who either already joined ISIS or speak in favor of joining terrorists in the Middle East. The issue has also stoked religious and ethnic tensions inside the country, with a series of “Reclaim Australia” rallies in May ending up with anti-Islamic protesters clashing with anti-racism activists. This week, the Australian government announced plans to resettle an additional 12,000 refugees fleeing conflicts in Syria and Iraq. The government says the new refugee intake will focus on women, children and families who have no possibility of returning home. The first refugee families are likely to arrive in Australia before Christmas.